Valve has 15% glass reinforced RTFE seats, a blow-out proof, live-loaded stem packing and an ISO5211 mounting pad. 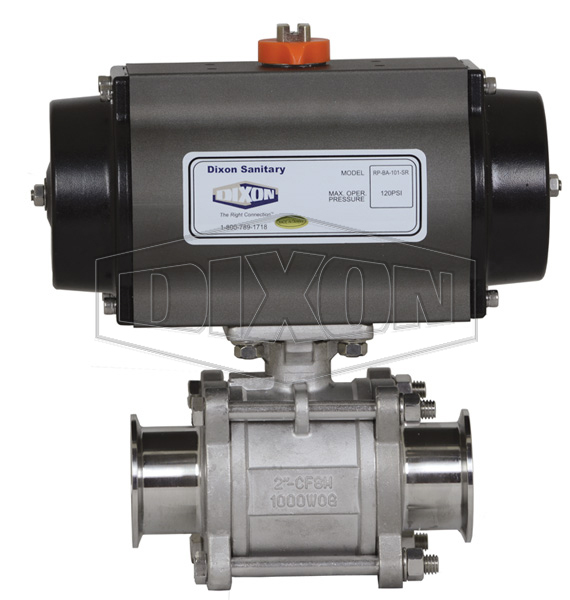 Rack and Pinion actuator has a hard anodized aluminum body, nickel plated anti-blowout pinion, Buna-N O-rings and NAMUR mounting. Actuator is tested t one million cycles and it features bi-directional stops for ±5° travel adjustment and visual position indications. A wide variety of options are available: spring return (normally closed) and double acting actuators, switches, solenoids, positioners, etc. 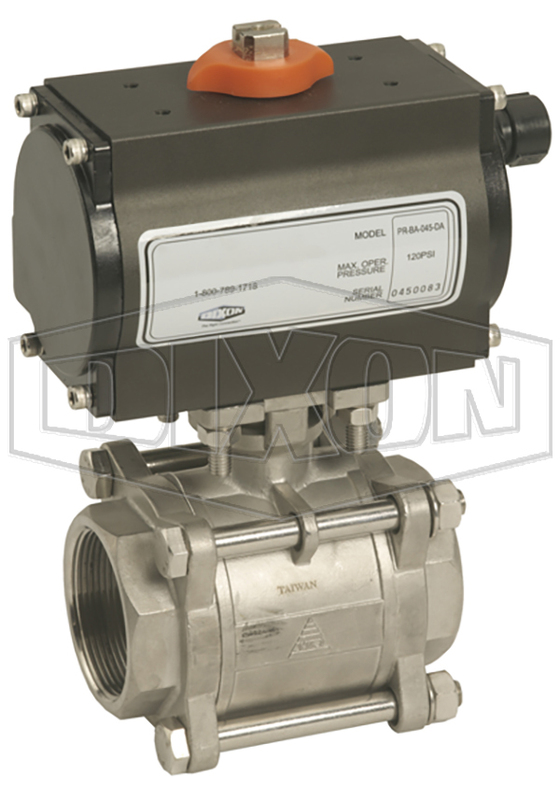 Even though there are torque safety factors built into our automated ball valve packages, actual service conditions must also be considered when selecting the proper product for the appropriate application. 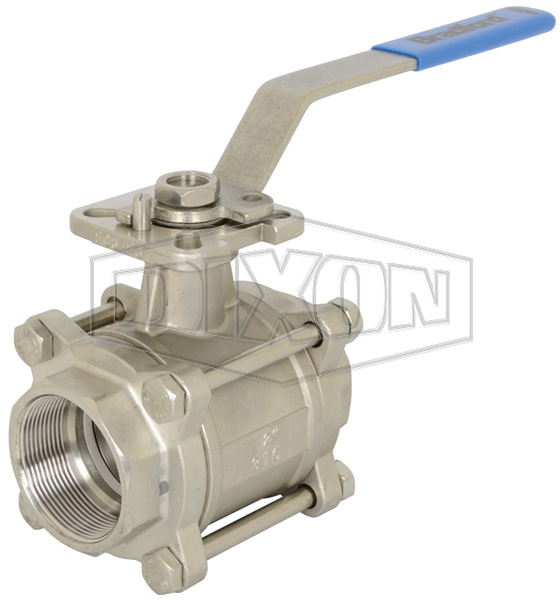 Severe service conditions such as dirty water, dirty air, all slurries, raw sewage water, oils, and other viscous fluids can have a dramatic affect in raising the torque requirements of ball valves as much as 75% and therefore larger actuators may be required. Please consult Dixon when dealing with these types of applications.